February 15 should be known as “Half-Price Chocolate” day. After all, like many other days intended to celebrate virtuous occasions, Valentine’s Day has become a commercial racket in which outlandish prices are charged for flowers, chocolate, cards, special meals, and other things that people purchase as a means of expressing undying love for another. While I don’t want to sound like a curmudgeonly cheapskate, the reality is that the expression of undying love for another can happen without monetary expenditure. (Sorry, gents, if I’m a day late in announcing this.) Don’t get me wrong: expressions of love can be costly without costing money. We can express our love with the gift of time spent, with the gift of an unexpected completion of a necessary task (like making dinner or washing the floor), or with the gift of words written in our own hand that state not only our feelings, but some of the reasons for our feelings. These are just examples, but they, and many more, can be done. You don’t have to wait until next year to try these out, however. Someone asked me what I was doing for my wife for Valentine’s Day, and I said that we treat every day like Valentine’s Day. That sounds trite, and while we don’t succeed 100% of the time, we do give it our best shot every day. What’s more, the offering of these expressions of love doesn’t have to be limited to those who are married, or in committed relationships. They can be offered among friends, colleagues, siblings, and any other kind of caring relationship. Why limit ourselves? God did not limit himself. God’s perfect expression of love came in the giving of himself, in the form of his only Son, whose birth and life all pointed to his death, resurrection, and ascension into heaven to intercede for us. That, too, can sound trite, until we realize just what that meant. God did not have to offer himself. God could have left us in our sins, slaves to the law, and miserable. 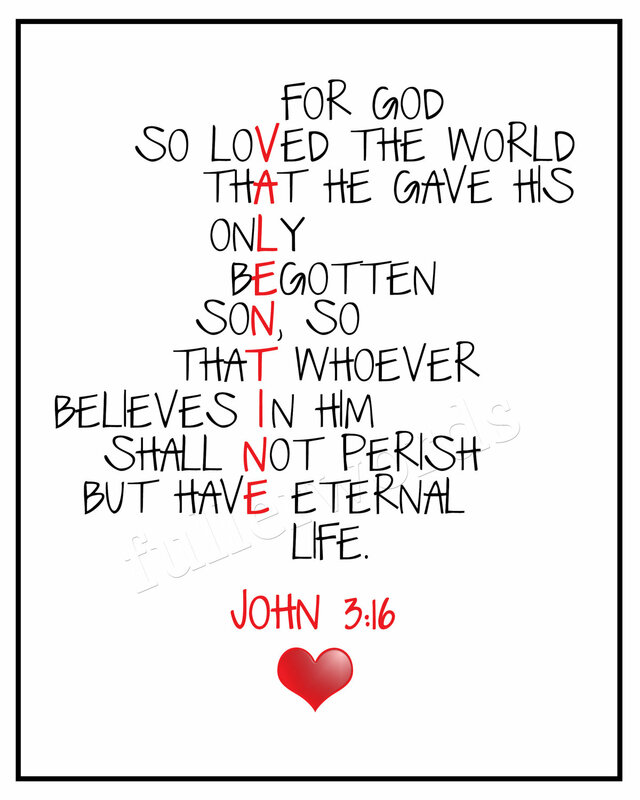 But because God’s intention toward his favourite created ones has always been love, God chose to complete the plan of salvation with the greatest valentine of all. He chose to give himself to experience the limitations of human frailty. The Infinite became finite so that we would have the opportunity to experience infinity in the gift of eternal life through faith in Jesus and in the power of his death and resurrection. A meme has been going around the internet which expresses it so well, as a paraphrase of John 3.16. May the truth of God’s perfect love be yours – not just on February 14, but every day of the year! God’s gift, after all, awaits us with patient love.